In a decade of relative drought, StarCraft II has redefined the RTS as a competitive concept – but it was once a platform for great single player stories too. Hard West types CreativeForge Games and Paradox clearly remember that: they’ve built a solo strategy game that charges players with charting the Black Zone that lies beyond the edge of the known universe, and commanding a fleet of actors whose work has spanned decades of television sci-fi. Ancient Space’s missions will exploit “time-honored” RTS mechanics, but give players objectives that encourage exploration and stealth as well as assault and defence. 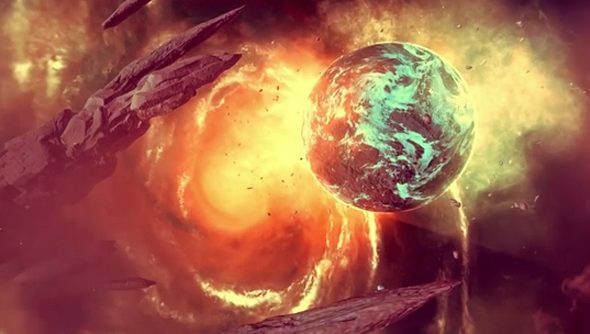 Its “space opera” campaign will see players build and upgrade fleets and overcome “overwhelming” odds – made up of aliens, pirates, and units yet to be classified. The obvious touchpoint is Homeworld – and the orange hue and sharp angles in Ancient Space’s trailer do nothing to dissuade that association. Ancient Space will be out on Windows and Mac in the Autumn, which begins in about a month. Think you can make room for a worthy throwback RTS in your ‘12 months of Molyneux’ calendar?